Throughout history, visitors to the east coast have had a love affair with Charleston SC; including Margaret Mitchell, Pat Conroy, John Jakes, (North and South) Darius Rucker of "Hootie and the Blowfish", and many other celebrities. It is a city of ten thousand secrets and just a couple of answers. Since the day I was born, I have been worried that heaven would never be half as beautiful as Charleston, the city formed where two rivers meet in ecstasy to place a harbor and a bay and an exit to the world. ~ Pat Conroy - "South of Broad"
Mention the city, and most people think of the bustling pre-Civil War southern gentility that the movie, Gone With the Wind, brought to life. Indeed, much of the historic Charleston area maintains the original homes and buildings, and it is a popular tourist attraction...seeing the old Battery, the jail and dungeon, and even walking ghost tours. 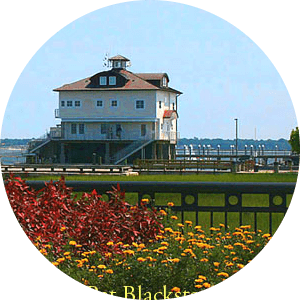 The downtown area is well known for its excellent seafood restaurants (best in the south), performing arts festivals, live theatre, and sports events. Many visitors come to tour Charleston's version of "the French Quarter" with its historic rainbow colored row-houses, an old slave market building, and the many art galleries. The second largest city in South Carolina, Charleston's metropolitan area consists of Charleston, North Charleston, Mount Pleasant, and Summerville; as well as three counties - Charleston County, Berkeley, and Dorchester. You can live near the action or miles from it. In fact, you can even live on one of the nearby islands in your own (mostly) private paradise. The most recent census in 2012 pinned the city as the fastest growing municipality in the state, and perhaps even more impressive, Southern Living Magazine named Charlestown "the most polite and hospitable city in America". It is true that the locals have always been known for their charming accent (unlike any other southern town) and friendly manners. You will always hear "ma'am" and "sir" in the Lowcountry. Before the Civil War, the area where North Charleston SC now lies was made up of many large indigo and rice plantations. In 2012, North Charleston's gross retail sales surpassed the capital, Columbia, by over $2 billion dollars. The 3rd largest city in South Carolina, its industry includes a Boeing Aircraft plant and one of the state's largest airports. With high paying jobs and the lifestyle to go along with it, this is a place to make a lot of money and enjoy it! Mt. 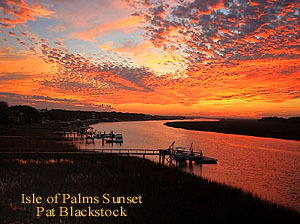 Pleasant, SC is a truly elegant community to the far north, and separated from Charleston by the Cooper River. The eight-lane Arthur Ravenel bridge was built in 2005 to replace a very scary older one, and is one of the longest cable-stayed bridges in the Western hemisphere. This is the fourth largest city in South Carolina and has doubled in population since the 90's. This is a young town and a comfortable one, very popular for its nearby ocean community, the Isle of Palms. 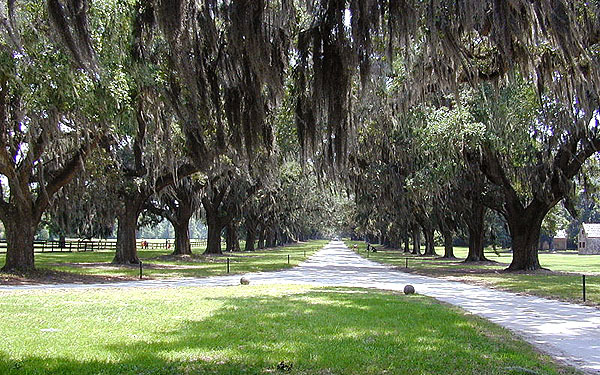 Boone Hall Plantation is located in Mt Pleasant as well. Used as the Mont Royal Plantation on the "North and South" tv mini-series, Boone Hall has continued to be a working plantation for more than 320 years, and is one of the most toured attractions in the state. Another thriving city in the Charleston metro area is Summerville, SC. Summerville has been used throughout the centuries as a "health retreat" due to the belief that the large number of pine trees contributed a healthy amount of turpentine into the area, and the drier, sandier soil kept the mosquito problems at bay. This soil also provides the perfect conditions for blooming plants and trees, and the town fairly bursts with flowers and gardens in the spring and summer. Also included in the Charleston Metro area are the amazing island towns such as Johns and James Island, the Isle of Palms, and Sullivans Island - the setting for Barbra Streisand's movie, "Prince of Tides" - from Pat Conroy's original novel that inspired it. All of the islands offer a paradise that is hard to imagine unless you see them. 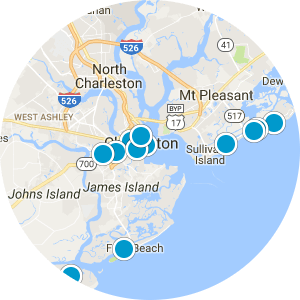 Be sure and visit our pages for these beautiful areas in your research of Charleston's communities. 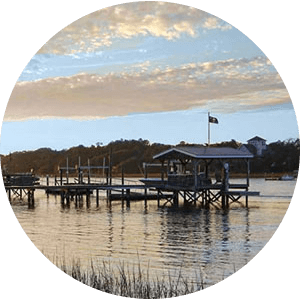 We hope to provide you with one of the most detailed reference sites for buying a home in the Charleston, South Carolina area. Call or contact us today for information or guidance on buying real estate in the Charleston SC Lowcountry!